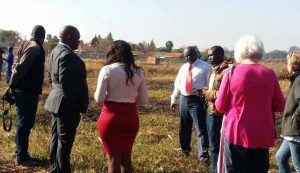 HARARE – The Zimbabwe Lawyers for Human Rights says despite powerful legislation designed to protect wetlands, extensive development continues to take place on Harare’s wetlands which are rapidly diminishing in size. Degradation through urban agriculture and boreholes drilling is also affecting wetlands around the city. Legislation such as the Constitution itself, Environmental Management Act, Water Act, Zimbabwe National Water Authority Act and various other laws were crafted to protect wetlands and ZLHR says full implementation of these laws should provide adequate protection for wetlands. “The laws, however, are not being fully and properly implemented. Frequently, the legislation is ignored or deliberately misinterpreted and distorted in order to meet various objectives which are at variance with the need to protect wetlands. Furthermore, there are governance and organisational structural problems and various gaps in the law which are exploited to the detriment of the wetlands,” reads part of a ZLHR report on the preservation of wetlands. ZLHR said the major reason preventing full and proper implementation of the Environmental Management Act are governance and structural problems in institutions that have primary responsibility for the protection of wetlands, the Ministry of Environment, the Environmental Management Agency (EMA) and the City of Harare. Governance and structural problems prevent the full and proper implementation of the law. of wetlands: the Ministry of Environment, the Environmental Management Agency and the City of Harare. The problems in the first two of these are interrelated and arise from the Environmental Management Act itself. At the heart of the problem is the amount of power and discretion vested in the Minister of the Environment and insufficient constraints on possible improper executive action. While the power vested in the Minister could be deployed in a salutary manner, in practice the Minister’s power is usually exercised in a manner which has an adverse impact on wetlands. in several ways. Firstly, the discretion is confined to matters of policy. The Minister, ought not, to for example, issue a directive that an Environmental Impact Assessment (EIA) Certificate be granted. directive and the Board must then give its views in writing on the proposal and the possible effects which the proposal may have on the finances, commercial interests and other resources and functioning of EMA. These directions should form part of the annual report which the Board is required to submit to the Minister and which the Minister is obliged to lay before Parliament, thus facilitating oversight by the legislature. The Minister is also obliged to submit a report to Parliament on the state of the environment at the end of every period of five years. It is not apparent that there is compliance with any aspect of this process. Furthermore, there is anecdotal evidence that Ministers have given directives which have resulted in the wrongful issuance of EIA Certificates in the past. The failure to constitute the National Environmental Council has a severe and adverse effect on the governance of EMA and the protection of wetlands. All ministerial decision-making ought to be informed by expert advice from the Council. Part of the general duties of the Minister is to formulate policies for environment management and to recommend to government the international and regional conventions on the environment to which Zimbabwe should become a party and to secure the incorporation of such conventions into domestic law. The Environmental Management Act specifically requires that this policy formulation is made with the advice of the National Environmental Council. The Council also advises on national goals and objectives and the determination of policies and priorities for the protection of the environment. To remedy this, ZLHR called for a transparent process in the establishment of the Council with consultation from relevant environmental organisations. EIA certificates are issued by the Director-General of EMA following his or her consideration of EIA reports. The EIA reports must be prepared by consultants who are licensed by EMA. However, the fee for the consultants is paid by the developer, leading to a conflict of interest for the consultants, as consultants who gain a reputation for issuing negative reports are unlikely to receive further engagements. Accordingly, consultants lean towards producing reports which allow development on wetlands and often fail to consult adequately with stakeholders, even though the Act requires the Director-General to ensure that the consultations have taken place. Where the grant of an EIA Certificate has been allowed or refused, the appeal lies to the Minister who alone determines the issue. It is poor governance policy to place such determining power in the hands of a single individual, as, given that the developments in question are often multimillion-dollar projects, it creates opportunities and the temptation for corrupt activity. Although the Minister’s decision may itself be appealed, as will be seen, this presents practical difficulties for those seeking to protect wetlands from developers. must as far as reasonably practicable, be notified of the questions at issue and given facilities for making such representations on those questions as he may wish. In practice, the Board only allows the persons whose actions are being investigated to make submissions, losing the benefit of submissions from often well-informed stakeholders on the issue in question. The Act is also vague as to the outcome of these hearings. It seems that the Board may only make “recommendations” and even this is only implicit. The Board has no punitive jurisdiction and thus appears to only have the power to recommend prosecutions of violators of environmental protections.